Language: Swedish, but English is widely spoken. Recognised minority languages: Sami (Lapp), Finnish, Meänkieli (Tornedalen Finnish), Yiddish, Romani Chib. Major political parties: Social Democrats (112 seats in Parliament / Riksdag), Moderate Party (107), Centre Party (23), Liberal party (24), Christian Democrats (19), Left Party (19), Green Party (25), Sweden democrats (20). Government: A coalition government, which is led by Prime Minister Fredrik Reinfeldt, leader of the Moderate Party, formed 5 October 2010. The coalition comprises the Moderate Party, Liberal Party, Centre Party and Christian Democrats. With 173 seats in parliament, the Alliance Coalition is a minority government. Membership of international groups/organisations: Sweden is an active member of most of the main international organisations. One notable exception is NATO. After a tough 2009, the Swedish economy is recovering strongly and outpacing the Eurozone. GDP growth – fuelled by strong exports and consumer spending – is projected to reach around 4% during 2010. The unemployment rate was 8% in July 2010, lower than the EU average, but the number does not include a large number of people in labour market programmes or on long-term sick leave. In Sweden taxes are higher, benefits more generous, and the labour market more highly regulated than in many EU countries. The Swedes enjoy an advanced welfare system, and the standard of living and life expectancy are high. Timber, pulp and paper, iron ore, copper and uranium have provided the basis of Sweden's economic growth since the 1920s, leading to significant manufacturing success, with companies such as Volvo, Saab, Electrolux and Ericsson becoming international household names. Around half of Sweden’s GDP is directly dependent on exports, many of which come from within these traditional industries, although services are also increasing in importance. In addition, Swedish design has attracted much attention on the international scene and has been brought to the masses by companies such as IKEA and clothes chain H & M.
Sweden was a leading country during the IT boom in the late 1990s and suffered when the bubble burst. The sector has now partly recovered. Computer and mobile phone ownership, IT literacy and Internet usage are all among the highest per capita in Europe. The EU dominated the 1990s. The Social Democratic government applied for membership in 1991 and the successor Conservative Government reaffirmed Sweden's commitment to the aims of the EU, including its provisions for a Common Foreign and Security Policy. This was significant in light of Sweden's longstanding unilateral commitment to neutrality. The Post-Cold War reality had prompted a debate in Sweden as to what 'neutrality' now meant in practise. The resulting consensus was that Sweden's neutrality was compatible with the EU's goal of a Common Foreign and Security Policy. In 1995 thus Sweden became the 15th member of the EU. 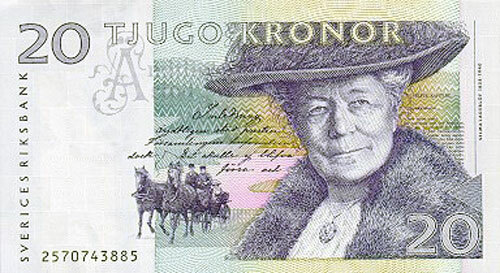 In a 2003 referendum, however, Swedes rejected adopting the Euro. In 1996 Social Democrat Göran Persson became Prime Minister after his party colleague Ingvar Carlsson stepped down. Persson then won elections in 1998 and 2002, both times forming a minority government, supported in the Swedish parliament by the Left Party and the Greens. After losing the 2006 election to the centre-right Alliance led by Fredrik Reinfeldt, with record-low numbers for the Social Democrats, Persson stepped down and Mona Sahlin took over. In September 2010 Reinfeldt’s Alliance was the first centre-right government to be re-elected to a second term in modern times. Meanwhile, the Social Democrats polled an even worse result than in the 2006 elections, despite (or due to?) a formal opposition alliance with the Left and the Greens, but just about maintained their standing as the largest party in the Parliament, with Reinfeld’s Moderate party less than a percentage behind. The opposition parties no longer forms an alliance and co-operate on an issue by issue basis. However, all parties have pledged not to co-operate on any issue with the twenty newly elected anti-immigration parliamentarians from the Sweden Democrats. Two dramatic murders have shaken Sweden’s normally calm society in recent years. In 1986, Prime Minister, Olof Palme, was shot in central Stockholm by an unknown gunman. Sweden was plunged into shock, which resurfaced in 2003 when Foreign Minister Anna Lindh was stabbed while shopping in a Stockholm department store. Six months later a 25-year old Swede of Serbian origin, who had acted on impulse, was convicted of her murder. Neither Palme nor Lindh had body guards with them at the time of the attacks. Security around top politicians has since been tightened but Sweden is still a very open country and the public has easy access to politicians. There have been two big catastrophes in Sweden’s recent history, although neither have taken place on Swedish soil. In September 1994, the Estonia ship sank in the Baltic Sea. More than half of the passengers were Swedes. In the 2004 tsunami in Southeast Asia, Sweden was one of the hardest hit non-Asian countries. Around 550 Swedish tourists are known to have died and thousands returned home with injuries. The Swedish Government was slow in reacting to the needs of the Swedish victims and was heavily criticised by the media and the public. From AD500 - 1100 the realm of Sweden developed from a loose union of two main tribes – the dominant Svear in the East and the Goths in the West. The Vikings (AD700-1000) colonised the Eastern Baltic, trading and raiding as far as Constantinople. Finland was incorporated in the 13th century and remained a Swedish dependency for 500 years. In 1397 Sweden joined the Kalmar Union together with Norway and Denmark under the Danish Crown. It finally broke away in 1523 to establish its own monarchy under King Gustav Vasa. For the next 200 years Sweden engaged in almost continuous wars with its neighbours in a struggle to gain and assert its Baltic supremacy. Defeat in the Great Nordic War against Denmark, Saxony, Poland and Russia (1698-1720) led to dismemberment of the Swedish empire and eclipse of its great power ambitions. During the Napoleonic Wars (1805-1814) Sweden was allied to Britain against France. By the Treaty of Kiel in 1814 Sweden ceded Finland to Russia but gained control of Norway from Denmark. The 19th century was a period of liberal reforms, population growth and rapid industrialisation. It saw the rise of Pan-Scandinavian nationalism and Norwegian separatism. In 1865 Sweden replaced the traditional Four estates by a bicameral assembly (reduced to one chamber in 1971). In 1905 Norway withdrew from union with Sweden. During World War One (1914-8) Sweden remained neutral along with Norway and Denmark. In 1920 the first Social Democrat government took office. And from 1932 the Social Democrats were to remain continuously in power for 44 years. During World War Two (1939-45) Sweden again remained neutral but – until 1943 – conceded Nazi Germany transit facilities for arms and troops. In 1949 Sweden decided not to join NATO, in contrast to Norway, Denmark and Iceland. Instead it developed its present doctrine of neutrality supported by self-reliance in defence. In 1952 with Iceland, Denmark and Norway, Sweden founded the Nordic Council (Finland joined later in 1955). Today, approximately 18% of Sweden’s 9.3 million inhabitants are immigrants (first generation and second generation with two foreign-born parents). The immigrant community primarily comprises of nationals from Finland, Iraq, Somalia, former Yugoslavia, Poland, Iran and Germany. Sweden has one of the most generous asylum policies in the EU and recent years has shown a larger inflow of immigrants than ever before; during 2008, 90,021 individuals received residence permits or registered right of residence in Sweden and in 2009, 24,200 applied for asylum in Sweden. In general, foreign citizens may apply for Swedish citizenship after residing in the country for five years. Yet, policies to assist new arrivals to learn Swedish and find jobs have not been particularly successful, with unemployment levels in the immigrant community being considerably larger than that among indigenous Swedes. To address this, in January 2011, Sweden introduced a new Integration policy, whereby the government and the employment agencies took over the municipalities’ responsibility for the introduction of newly arrived immigrants. Throughout the 20th century, Swedish foreign policy was based on the principle of non-alignment in peacetime and neutrality in wartime, but since Sweden joined the EU on 1 January 1995 the government has been committed to playing an active role in European security co-operation (with the emphasis on civil-military co-operation and co-ordination). Sweden abandoned the doctrine of self-sufficient national defence in 1999. Sweden is strongly internationalist, expressed through enthusiastic participation in organisations such as the UN, OSCE, OECD and Nordic Council. Sweden is also a partner member of NATO’s Partnership for Peace but not a member of NATO itself. Sweden is active in international peace efforts, recently in Liberia, Kosovo, Afghanistan and Libya, and in support to the developing world. Sweden held the Presidency of the EU from June-December 2009; priorities were the Lisbon Treaty and related institutional issues; climate change; the economy and jobs; JHA and the Stockholm Programme; enlargement; and the Baltic Sea Strategy. An introduction of the EURO was rejected by a clear majority in September 2003. In 2006, the government reached its goal of giving one percent of the GDP to Foreign Aid, surpassing the EU target of 0.7%. Sweden has close relations and historical links with its Nordic neighbours, and co-operates with them formally in economic and social matters through the Nordic Council of Ministers, and informally in political matters through direct consultation. Sweden also values its relations with the Baltic States, where historical and cultural links are strong. Since the Baltic States regained their independence, Sweden has given considerable aid and technical assistance, and promoted their accession to the EU. 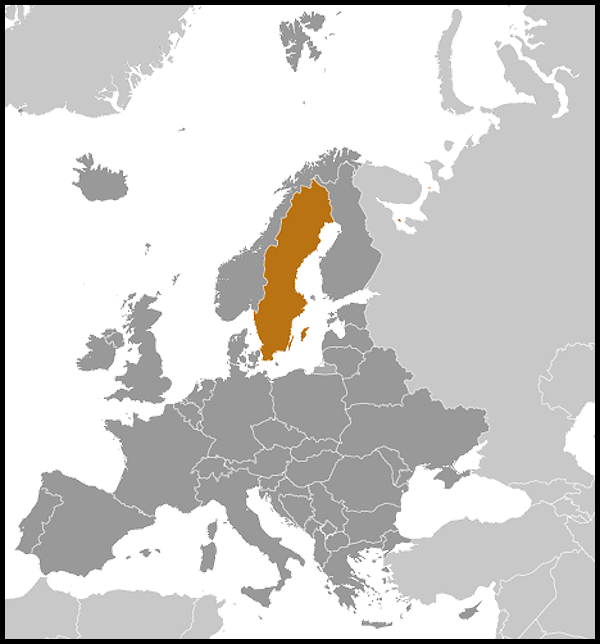 Sweden is a member of the Council of Baltic Sea States. The current British Ambassador to Sweden is Andrew Mitchell, who will be replaced by Paul Johnston in August 2011. Nicola Jane Clase is the current Swedish Ambassador to the UK. The British Community in Sweden is approximately 15,000 strong. The Swedish community in London is approximately 40,000 (no figure available for the whole of the UK). -- Minister of State for Universities and Science, David Willetts, visited Sweden on 10 December 2010. -- Europe Minister David Lidington visited Sweden on 7 June 2010 and met his Swedish and Polish opposite numbers, Birgitta Ohlsson and Mikolaj Dowgieliewicz. Capital - Stockholm (832,641); other cities - Göteborg (508,714), Malmö (295,284). Trading links go back centuries and are strong. -- Sweden is the UK's tenth largest export market and the UK is Sweden's fifth largest supplier. -- Major UK exports to Sweden, road vehicles,petroleum products, medical & pharmaceutical products. -- Major UK imports from Sweden: paper, board and pulp, telecommunications equipment, pharmaceutical, road vehicles, fuel, wood, iron and steel and general industrial machinery. -- Almost all of Sweden's world-class companies have invested in Britain. There are a total of 700 Swedish firms in the UK. Both Ericsson and the post-merger Astra/Zeneca have established headquarters there, fuelling Swedish domestic concerns that this may be a trend. There are over 370 UK-owned firms in Sweden. Sweden’s political centre stands more to the left than the UK. The Social Democrats have held power during most of the post-war period except for 1976-1982, 1991-94 and since 2006. The immediate years after the way witnessed the construction of the comprehensive welfare state under Prime Minister Tage Erlander who held office until 1969. Traditionally a strong campaigner for tax cuts, the party has, under its new leader Fredrik Reinfeldt, moved more towards the middle. Together with the Liberal Party, the Centre Party and the Christian Democrats it formed an Alliance that won the election in September 2006 and was re-elected in September 2010. Due to the far-right Sweden Democrats entering Parliament the Alliance lost their majority and is now a minority government. Since 1974 Sweden has had a one chamber Parliament or Riksdag of 349 seats. Members are elected to serve four-year terms by popular vote on a proportional representation basis. Voting takes place mainly on a party list basis but since September 1998, Swedes have had the possibility of voting for a named, individual candidate. The Cabinet holds executive power but is responsible to the Riksdag. Subdivisions: 21 county councils, 290 municipalities (townships). The municipalities enjoy a high degree of self-determination and set their own taxes. Suffrage: Universal over 18. Citizens of EU member states, Norway and Iceland are allowed to vote in local elections. After three years of legal residence immigrants from other countries may also vote in local elections (but not in national elections). The next Parliamentary Elections in Sweden are due to take place in September 2014. Despite broad parliamentary support for the EU, public support in Sweden is below the EU average. In a national referendum in 2003, Sweden rejected joining the Euro (No 56% Yes 42%). Sweden held the EU presidency from the second half of 2009. Sweden’s Commissioner to the EU is Cecilia Malmström, a Liberal, who is responsible for Justice and Home Affairs. The Royal family holds a ceremonial role and is popular with the public. Republican groups occasionally try to create a debate on the future of the monarchy but there is little public support for its abolition. In 1976 King Carl XVI Gustaf married German-Brazilian Silvia Sommerlath and the couple has three children: Crown Princess Victoria (b.1977), Prince Carl-Philip (b.1979) and Princess Madeleine (b.1982). In June 2010 the Crown Princess married Daniel Westling, who then became Prince. Also member of the Royal family is Princess Lilian – born Lilian Davies in Swansea, Wales in 1915. She was married to King Carl XVI Gustav’s uncle Prince Bertil, who died in 1997.